Geography: South East, Oxfordshire. Part of the Oxford council area, part of the Cherwell council area and part of the Vale of White Horse. Main population centres: Oxford, Abingdon, Kidlington. Profile: The larger and much more rural of the two Oxford seats. Oxford West contains some of the northern suburbs of Oxford and a few colleges on the outskirts of the city centre but not much else of it - the vast majority of the city`s residential population sits in Oxford East. Instead this seat contains the rural hinterland to the west of the city, the large village of Kidlington and the town of Abington. Oxford airport lies in the north of the seat. Politics: A marginal contest between the Liberal Democrats and Conservatives, up until 1997 it was held by the Conservatives, though on only modest majorities. 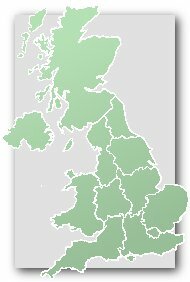 In the historic Tory defeat of 1997 it fell to Liberal Democrat Dr Evan Harris, who was a high profile voice in favour of abortion rights, euthanasia and secularism within Parliament and, after his defeat in 2010, has been a high-profile supporter of press regulation from outside Parliament. NICOLA BLACKWOOD (Conservative) Born 1979, Johannesburg. Educated at home and Oxford University. Former researcher for Andrew Mitchell MP. First elected as MP for Oxford West and Abingdon in 2010. NICOLA BLACKWOOD (Conservative) See above. SALLY COPLEY (Labour) Head of UK Campaigns at Oxfam. LAYLA MORAN (Liberal Democrat) Educated at Imperial College. Maths and physics teacher. Contested Battersea 2010, West Central 2012 London election. LARRY SANDERS (Green) Born New York, brother of Vermont Senator Bernie Sanders. Retired social worker, lecturer and lawyer. Oxfordshire councillor 2005-2014. The Tories’ problem is that there aren’t enough of these people to win an election. Or at least, there aren’t enough people who *feel* they have done well from the post-1979 settlement. The “Centrist” position is straightforward small-c conservatism. The neo-liberal settlement has run out of steam and needs to be replaced. There are not enough people (particularly younger people) who have made enough money from it to sustain it (and many of those who did will have children who are not). This is known on both the left and right as creative destruction as the old and knackered ideas are taken out to the glue factory. The “new” ideas may well be adapted from an earlier consensus (as did Thatcherism). Change is coming, just as it did in the 1980s. It is only a question of whether the move is to the left or right. The electoral problem centrism has is that it is essentially negative ideology – it defines itself principally in terms of what it is not. Nobody votes for stuff like that (hence remain lost the referendum, for example, because they spent the whole time slagging of leave and none building a positive case for European co-operation). Which is why I think of myself as a liberal rather than a centrist – though I end up in the same place, stuck between a rock & a hard place under FPTP. 48.1% of the vote is ‘nobody’? Let’s not carried away here. Yes, we ‘liberals’ (for want of a better term) had a horrific 2016, but no defeat is permanent etc. No defeat is final…getting my sayings mixed up. Okay, I exaggerated a little, but my point was that centrists/liberals have got to have a USP. They can’t just be “vote for us because we’re not our opponents” or “we’ll give you the best of both worlds”. Thats democracy. Roy Jenkins said governments must change hands for a healthy democracy. Please find a better term. I prefer liberal to centrist but my experience of liberals are cllrs who believe the only freedom is the freedom of the market and I didnt vote remain for them. Actually even libertarians believe in other freedoms – they are pro-drugs, pro-migration, and anti-censorship (and, in America, very pro-guns). For me, the difference between a libertarian and a liberal is that liberals care more about freedom for everyone, whereas libertarians aren’t too bothered how the freedom is shared out. The Lib Dems may have a decent shot at winning Vale of White Horse council next year if they can win all the Tory seats in Abingdon and a few extra on top of that. Former Mp for this seat Nicola Blackwood has been made a peer and will become a Minster in the Department of Health and Social Care. They’re very short of competent ministers in the Lords.